Looking for clean Gladiators pin within driving distance of eastern NC. Please PM me with anything you have. Thanks. These are Tokkentakker's all time market stats. Not too bad a deal for the condition. Unfortunately Gottlieb sys 3's didn't do to well outside of mylar areas. Indeed. Not many left in the condition of the one pinmister got from me. Wow o-din, that looks beautiful. I'd love to find one in that condition. When I was looking for one, I put a wtb ad on my local craigslist. A couple days later I got a message that a guy had a HUO one he would sell me for I think it was around $1700 at the time. About a half hour away. After I had my fill, I sold it to pinmister and he still has it. be honest... You want this game because it's on the pinball arcade app now. Its on pinball arcade finally??? Man, ive been suggesting that for a long time now! 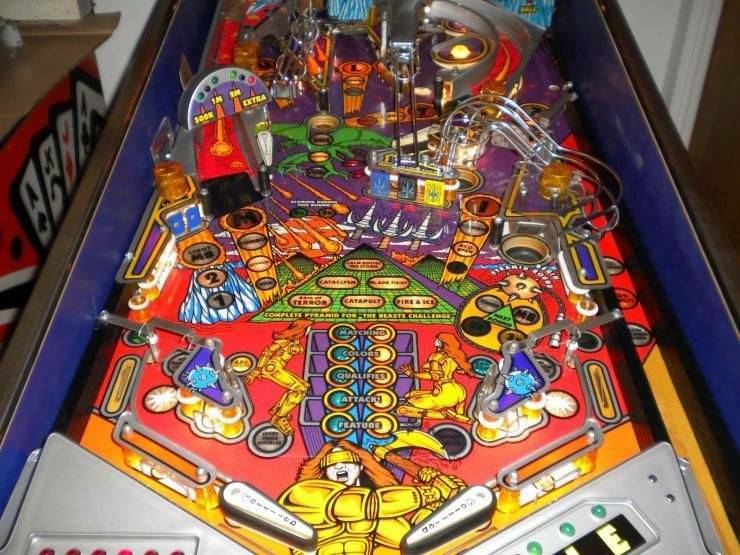 Nope, never played or watched pinball arcade. Strictly old school here. well, either way. You're getting this bumped to the top. Maybe someone local will sell you a gladiators. Man id love to have a nos playfield on mine. Where did you find that?